This strong white ear plug is completely made of opalite stone. 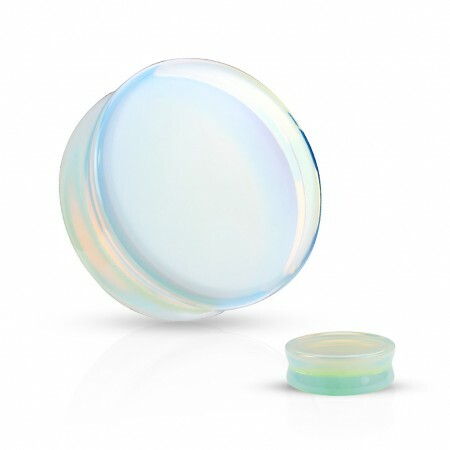 Opalite stone has a charming and luxurious look and makes this plug have a strong vibe. Because this piercing is made of organic material the piercing is vulnerable for outside influences and might slightly vary in size. Avoid direct contact with sunlight and (body) fluids to prevent swelling, cracking or other irregularities.